Some of the most frustrating moments in my life have involved household jobs that required far more time than I initially envisioned. Fixing that stopped-up sink. Painting the room. Changing that broken ceiling fan chain switch. I consistently underestimate how long it will take. 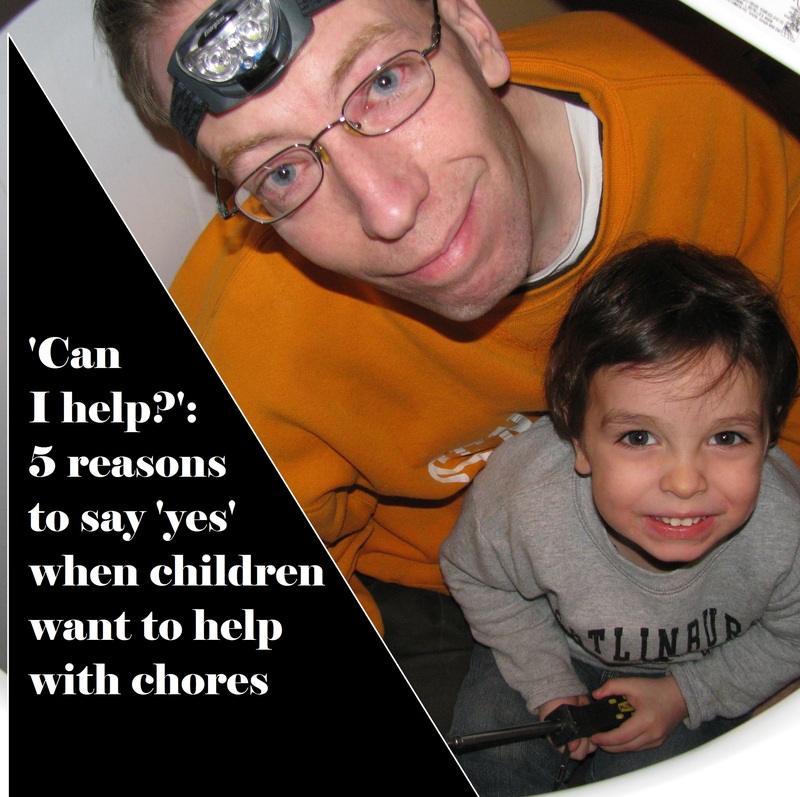 Now that I have three young children, I have trouble finding time to do those chores – and when I do try to do particular household jobs during daytime hours, my oldest son, who is 5, wants to help. Parents always face a dilemma when a young child wants to tag along and “help” with work. The time it takes to accomplish the chore easily could double or triple with a kid in the picture. Will the child truly help – or simply break something else along the way? Shouldn’t I just get my spouse to keep him or her away? Lately, though, I’ve tried to allow my son to help me more with jobs and tasks, and I’ve discovered we’ve both enjoyed it.